You can control its three outlets and two USB ports independently, but its app has weak timer features and no scene-control functions. 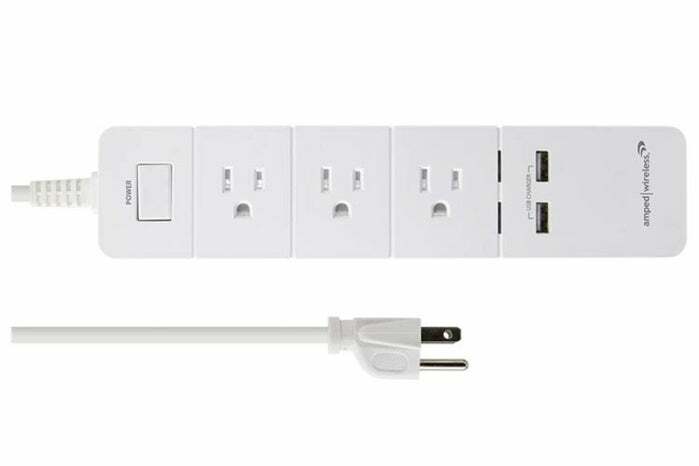 If one smart plug is good, five must be better, right? 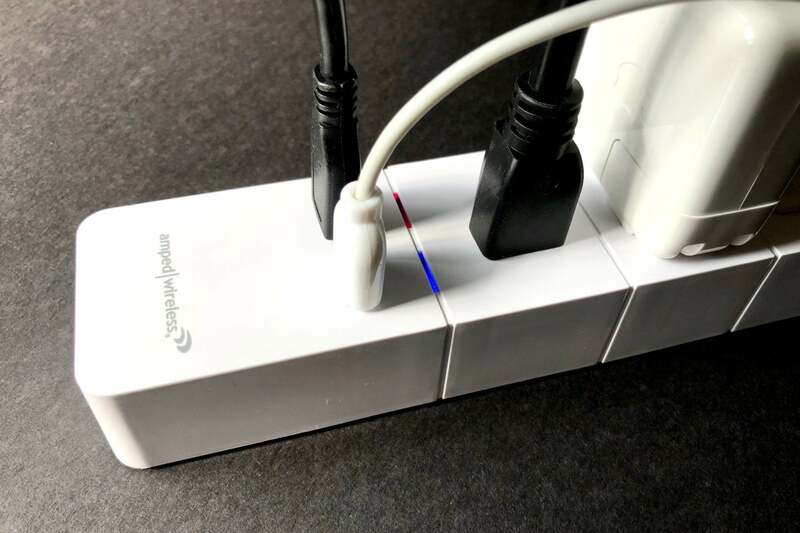 That's the philosophy behind Amped Wireless' Wireless Smart Strip ($79.99), which has three independently controlled smart AC outlets, as well as two USB charging ports. Once added to your Wi-Fi network, an app controls all five of the surge protector’s outlets. These can also be controlled via Amazon Alexa and Google Assistant. The value of smart plugs has largely been to integrate them into scenes, or collections of devices you want to work together. A scene might allow you to walk into the bedroom and have a ceiling fan start up and a bedside table lamp turn on. Or you could utter a voice command that results in a video projector, A/V receiver, subwoofer powering up in your home theater while a screen descends from the ceiling. Amped Wireless, however, doesn't offer scene-based configuration of the Wireless Smart Strip in the app required for its use. (More on that app below.) The app only lets you control each AC outlet and USB port individually, as well as set recurring timer schedules, which can useful for making a home seem occupied while you’re traveling. For scene support, you must rely on Amazon Alexa or Google Assistant. Without the technology to handle Apple HomeKit, that leaves users of the Apple smart home ecosystem with a product that doesn't provide much advantage at all compared to a simple vacation timer. The Wireless Smart Strip's outlets are widely spaced, enabling all three to be used at once. The Amped Wireless timer feature should be robust, but it's not. It allows the entry of multiple timed events for turning an outlet or USB charging port on or off, but these can't be entered in pairs. Each event can be set to recur by the day of the week, but you must tap each day individually for each event you create, and there's no more sophisticated calendar feature. Some vacation timers offer a bit of randomness to throw off potential thieves scouting a house, but that's not available, either. The hardware design, on the other hand, is top notch. It has an excellent, solid feel with small anti-skid pads placed underneath. The outlets are widely spaced, allowing easy use with a variety of plugs. 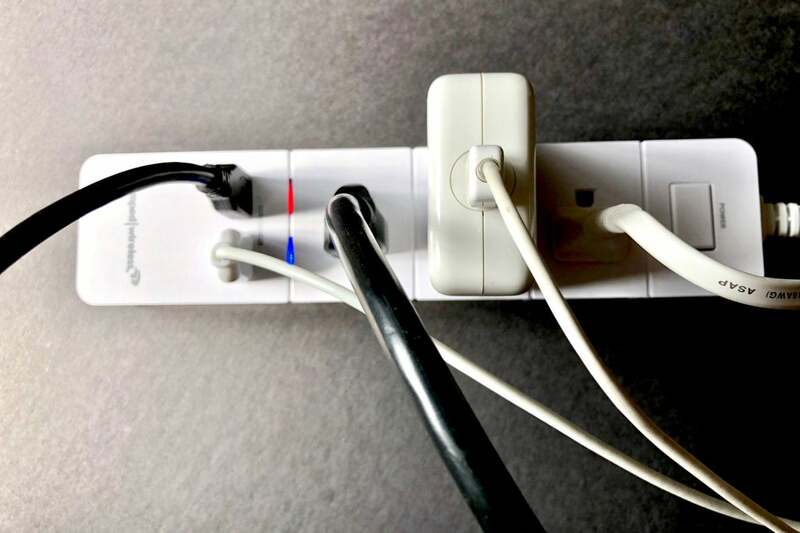 Two LEDs help with configuration: one shows when the device can receive a connection for set up and then, after that, that it's actively connected to a Wi-Fi network. The other lights up blue if any outlet or port has power flowing. The Wireless Smart Strip's two USB charging ports can be controlled independently, as can its three AC power outlets. There's a silly flaw in the user interface in the app that controls the Wireless Smart Strip: The app shows the strip's power button at the top, allowing correct visualization of the three AC outlets. The USB ports, however, are shown in the app as one on top of the other instead of side-by-side as they are in the real world. The USB ports are labeled Switch 7 and Switch 8 by default in the app, and I determined that 7 is on the left and 8 is on the right when viewing the strip in the same orientation as depicted in the app, with the power button at top. It's a sloppy error. The company has a confusing situation with its iOS smartphone app, too. The app that's mentioned in documentation that comes with the product, and the link in the QR Code printed in the manual, isn't current, although it works. If you visit the product page on the manufacturer’s website, you'll see the message "If using this power strip with an Apple Product please use the SmartLife app from the Apple App store while we work on improving our original app." Amped Wireless recommends Apple users download a third-party app because the company's own is apparently not up to par. While the product design, ease of use of the app, and the general utility of the strip paired with Alexa or Google Assistant are all in its favor, the Wireless Smart Strip only works for a narrow slice of people, and I can't recommend it at all for Apple HomeKit adherents. Amped Wireless also needs to solve the app privacy and disclosure issues to offer confidence to buyers. 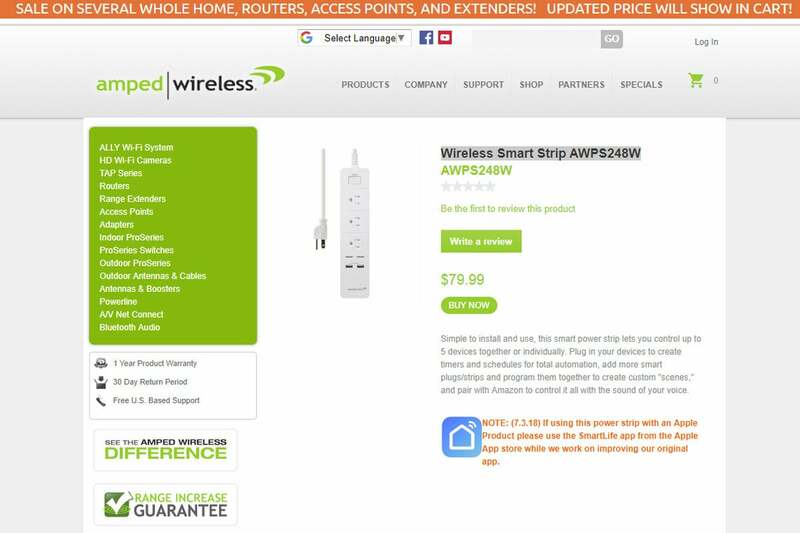 This story, "Amped Wireless Smart Strip review: Most effective when it's paired with an Amazon Echo or Google Home" was originally published by TechHive.